Registration is now open for Gamma Phi Circus Summer Camps! Registration is available online or download and follow the directions on the 2019 Gamma Phi Camp registration form. Camp spaces can fill quickly, so early registration is recommended. 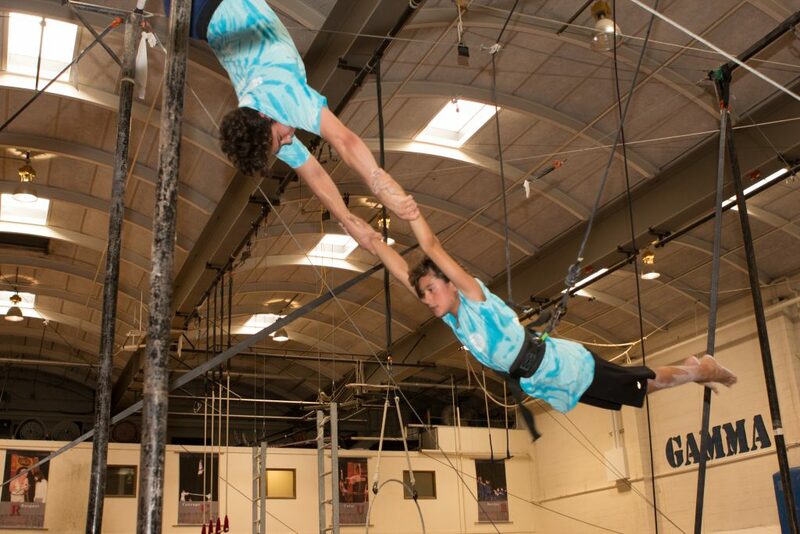 Gamma Phi Circus is proud to provide circus arts camps during June and July. Circus camps combine physical skills, teamwork, creative self-expression and performance experience in a fun and supportive environment. Participants have the opportunity to learn and perform their favorite circus skills with each camp session culminating in a show for camper families and friends. Gamma Phi provides Basic, Intermediate and Advanced Circus Skills Camps, as well as CircusLings (ages 5-8) and CircusTots (ages 3-4) introductory circus camp sessions for younger children. General circus skills development for performers age 7 and older at all levels of experience (beginner to intermediate learners). Circus skills camp for performers age 7 and older who have participated in one or more years of basic camp and are ready to move into the next level in circus arts training and performance. **Prerequisite of prior Basic and Intermediate Camp skill level, or comparable gymnastic, cheerleading, athletic performance/skills development experience. This is not a basic level camp. Our camps for the youngest circus lovers give our young campers a great start on summer! This will be our 8th year of offering these specialized camps. CircusLings sessions have expanded to 1 morning session and 2 afternoon sessions. CircusTots have 1 morning session. Tots and Lings have a special Friday performance for family and friends just like the big camps! Parents will be given information in their registration confirmation packet and during camp week about show times for their camper’s specific session. Tots and Lings will also receive a Gamma Phi Campers tee with their registration-just like the bigger kids do! This unique circus camps program is sponsored by the College of Applied Science and Technology (CAST) at Illinois State University and is presented by the directors and performers of Gamma Phi Circus. PLEASE NOTE: A $20.00 discount applies to sessions of Basic and Advanced camps if registering for one or more sessions as an individual or as a family. Discount does not apply to registrations for CircusLings and CircusTots.